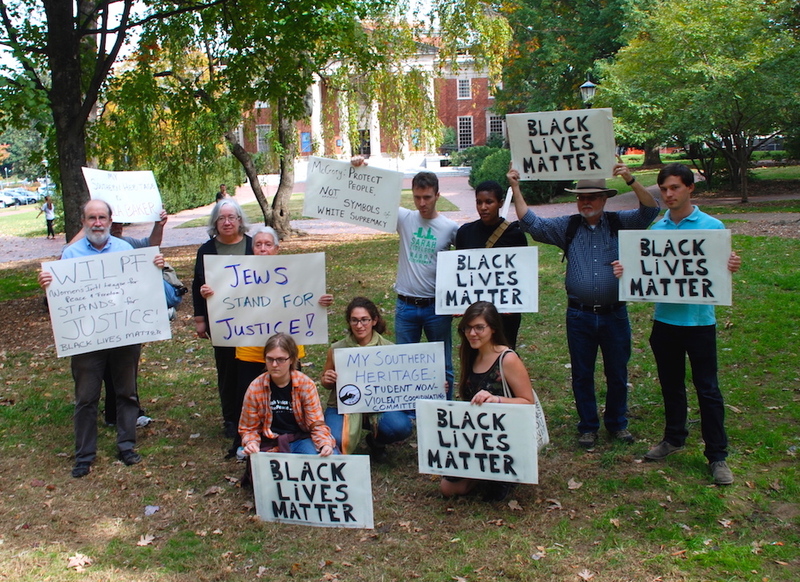 Members of MERI participated in counter-Confederacy rally at University of North Carolina at Chapel Hill on October 25, 2015. Check out pictures and video below. Activists from immigrant rights, MERI network, worker rights and other movements participated in a counter rally against Donald Trump’s speech in Raleigh on December 4, 2015. 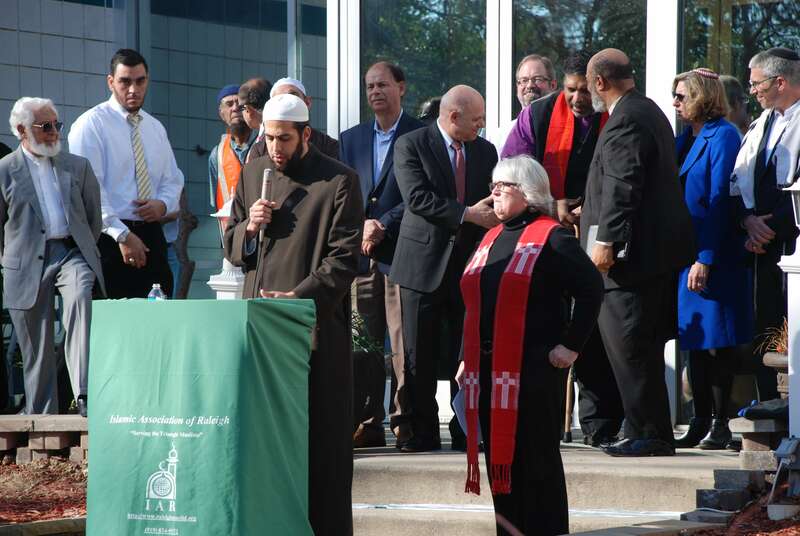 MERI members worked with Reverend Nancy Petty (Pullen Memorial Baptist Church) and Raleigh Mosque (Islamic Center of Raleigh) to host an interfaith event against Islamophobia. Rev. William J. Barber, II; , Rabbi Eric Solomon (Beth Meyer Snagogue) along with Rev. Nancy Petty, Imam AbuTaleb and Imam Oliver Muhammad spoke at the event. 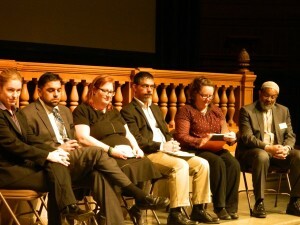 Approximately 1,000 people were reached through these forums and events in 2015, organized to pursue strategies to abolish racism and Islamophobia. MERI partner organizations have also been active on the front of media. Jewish Voice for Peace – Triangle spoke out against Islamophobia in January 2015 letter-to-the-editor and authored an op-ed in The Herald-Sun in October 2015, where they connected racism in the USA and under Israeli occupation. 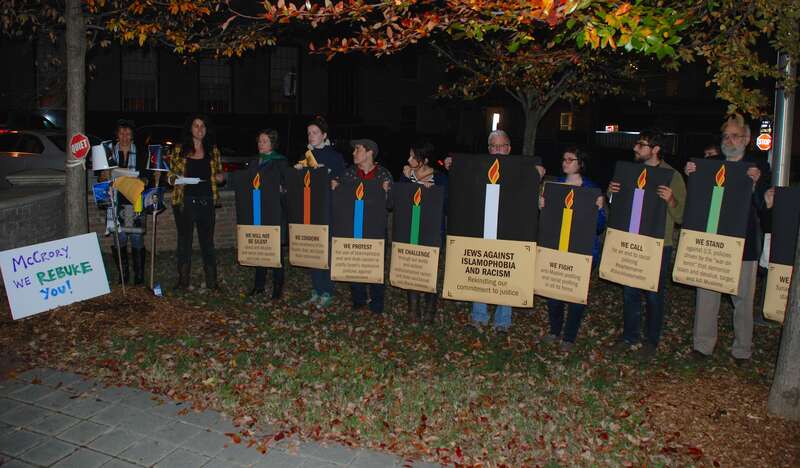 JVP-Triangle organized Chanukkah Action Against Islamophobia and Racism in Durham, NC, that was extensively covered by The Herald-Sun and WRAL. Jade Brooks – Islamophobia Must End. The News and Observer. January 27, 2015.
https://jvptrianglenc.wordpress.com/2015/10/23/jews-show-up-for-justice-and-resist-racism-from-north-carolina-to-palestine/ Excerpted as an Op-Ed in The Herald-Sun, October 30, 2015. 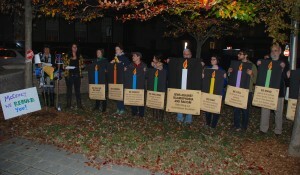 Lights and Rights: Protests Draw Attention to Human Rights Issues. The Herald-Sun. December 11, 2015. 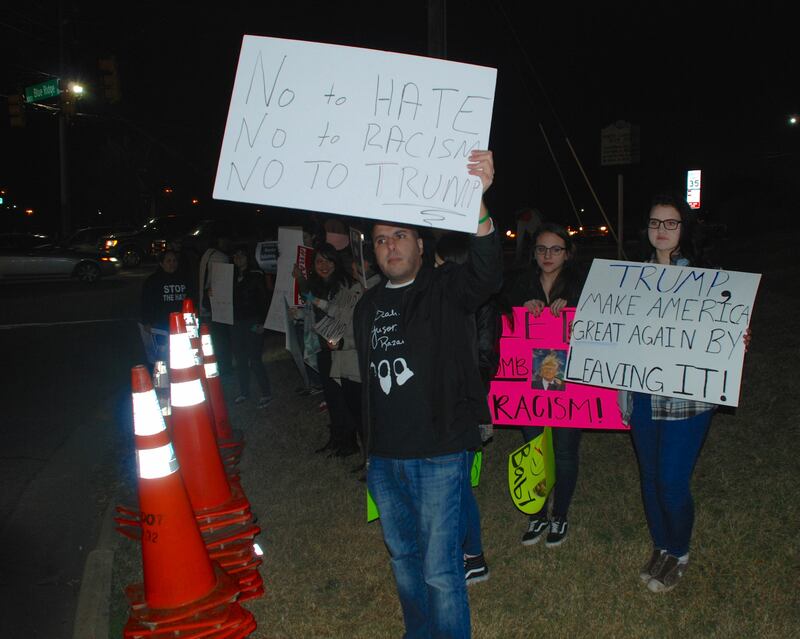 Durham Jewish Community Takes Stand Against Islamophobia. WRAL. December 12, 2015. Miriam Thompson MERI and Abrahamic Initiative on the Middle East (AIME) wrote an op-ed and letter to the editor. Miriam Thompson: Beyond Speeches. The News and Observer. August 15, 2015. Miriam Thompson: For North Carolina to truly prosper, we need to take care of our workers. The News and Observer. November 6, 2015. Miriam will be interviewed on Fayetteville, NC, radio station WIDU on November 30th. MERI partner organization NC Justice Center published an op-ed against attacks on refugees. McRory’s Stance on Syrian Refugees Makes Bad Situation Worse. The News and Observer. November 17, 2015. Rev. Mark Davidson, member of AIME, wrote an op-ed on the need to break the cycle of violence in the wake of extremist attacks. When Confronting Terrorism, We Need a Script that Includes Empathy, Kindness. The News and Observer. November 30, 2015. 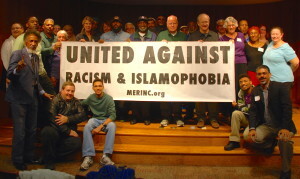 Mel Norton, member of Durham People’s Alliance and MERI, wrote an op-ed on the need to name and confront Islamophobia. Mel Norton: The Power of Names – Islamophobia. The News and Observer. December 17, 2015. 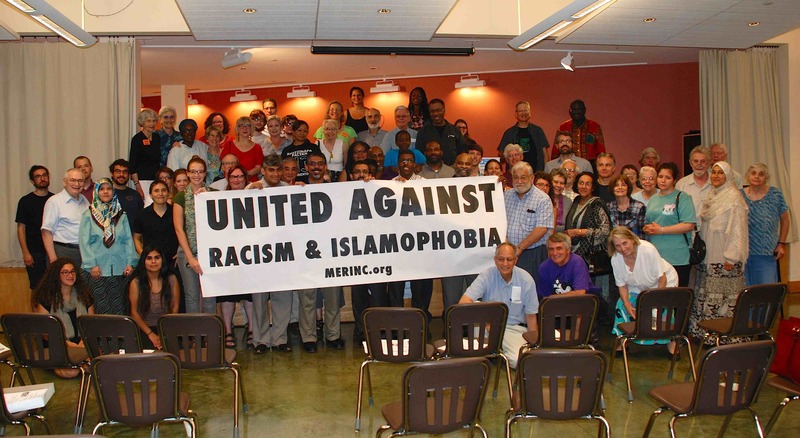 Henry Jarrett, President of Methodist Federation for Social Action – NCC (MFSA-NCC) and member of MERI, write a letter-to-the-Editor against rising anti-Muslim rhetoric. 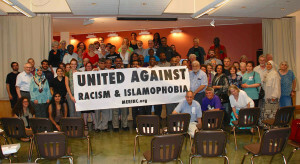 MFSA -NCC also issued a statement against Islamophobia. Henry Jarrett: The Power of Example. The News and Observer. December 7, 2015. MFSA-NCC’s Statement on Muslim Neighbors and Refugees. MFSA-NCC.org. December 19, 2015. Muslims for Social Justice member Manzoor Cheema was quoted on Islamophobia in the wake of murder of Chapel Hill students and rising Islamophobia in the wake of Paris attacks. He also published letters-to-the-editor on ending Islamophobia and other forms of oppression. US Gunman Kills Three Muslims; Muslim Call for Hate Crime Investigation. Reuters. February 12, 2015. Manzoor Cheema Aims to Change Perceptions of Islam. The News and Observer. February 21, 2015. Manzoor Cheema: Speech was Harmful in Wake of Murders. The Daily Tarheel. April 15, 2015. 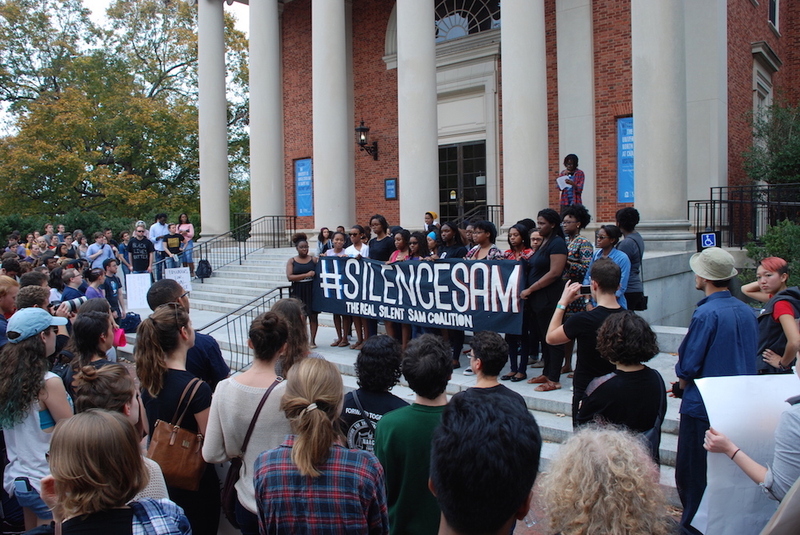 Manzoor Cheema: Challenging Islamophobia at UNC Chapel Hill. Orange Politics. April 26, 2015. Manzoor Cheema: Against Vouchers. The News and Observer. August 6, 2015. Manzoor Cheema: Much Needed Perspective. The Herald-Sun. November 6, 2015. US Muslims Fear Backlash After Paris, But Not the Kind You Expect. Mic.com. November 16, 2015. Seven Ways Southerners Are Fighting Hate and Fear After Paris Attacks. Facing South (A Publication of Institute for Southern Studies). November 20, 2015. Muslim Leaders Aware of Tensions in Modern US. WRAL. December 17, 2015. 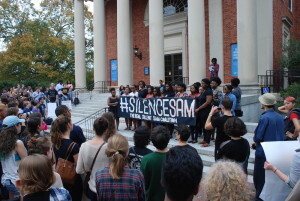 MERI produced a short video of the counter-Confederacy protest at UNC Chapel Hill. Interviews in this video were picked by progressive news outlet – Public News Service and broadcast to North Carolina media with a reach of 1.9 million people. 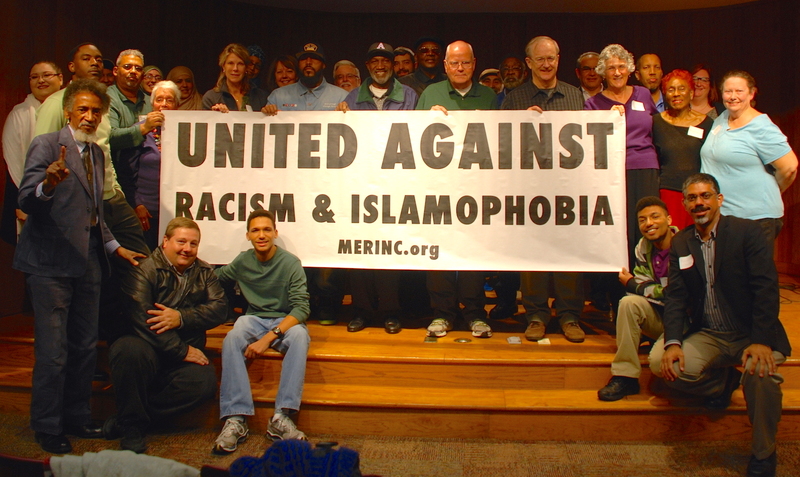 MERI plans to organize six events on racism and Islamophobia in the year 2016, with a goal to reach 2,000 people. MERI will develop a workshop on understanding and challenging Islamophobia. This workshop will be offered to churches, synagogues, student groups, public officials and community organizations. We also plan to publish 30 letter-to-the-editors, op-eds, press releases, stories and videos to reach communities throughout North Carolina. Join MERI to make a difference!